Texas has a message for $30 crude doomsayers: Bring it on. “You see a great amount of variability between operators, even in a small geographic area like a county,” she said by phone. 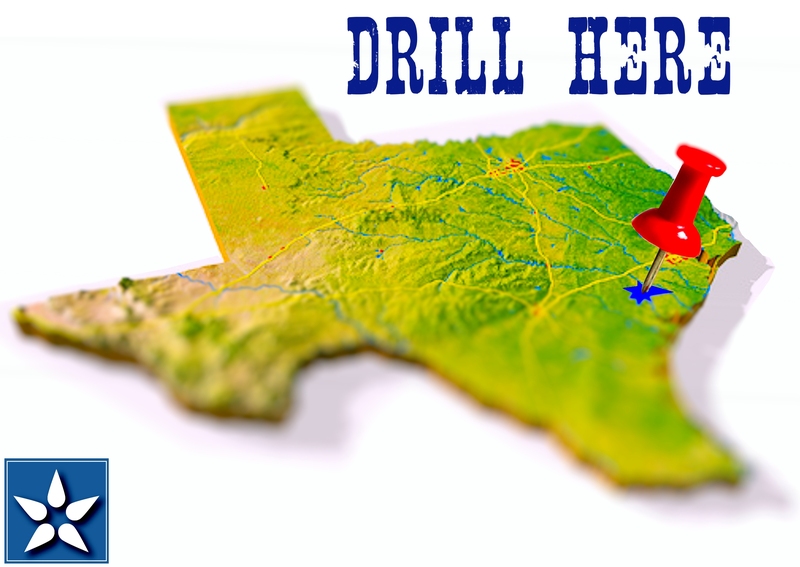 Drive 200 miles southwest to Dimmit County, and drillers need $58 oil. The wide range of break-evens, a term for the price at which a well goes from profitable to unprofitable, illustrates one reason why shale production from exploration and production companies has been more resilient than expected, filling storage tanks in the U.S. to levels not seen in 85 years. Since prices started falling in June 2014, U.S. shale drillers have dodged countless death warrants by cutting costs, experimenting with new techniques and technology and boosting output to keep their wells competitive. West Texas Intermediate crude fell 19 cents to $32.09 a barrel at 8:32 a.m. Thursday on the New York Mercantile Exchange. Natural gas prices are soaring again Tuesday as the extremely warm temperatures that sapped demand this month are leaving weather forecasts for early January. Futures for January delivery recently traded up 13.9 cents, or 6.2%, at $2.367 per million British thermal units on the New York Mercantile Exchange. The market is on pace for a fourth session in the last six with gains larger than 5%. Natural-gas futures have gained 35% in less than seven trading days since they settled at a 16-year-low on Dec. 17. Tuesday’s gains put gas at its highest point since Nov. 19. Weather forecasts have repeatedly shown more cold coming to start January. Tuesday’s weather update from Commodity Weather Group LLC in Bethesda, Md., shows no above-normal temperatures across the nation by Jan. 8, adjusting from Monday’s forecast, which still showed some lingering warm weather over nearly the entire East Coast. Forecasts already show extreme cold in the west for this week and some of that gradually moving east. Many U.S. homes use natural gas for heat, making the winter weather the biggest driver for gas prices. Physical gas for next-day delivery at the Henry Hub in Louisiana last traded at $2.36/mmBtu, compared with Monday’s range of $2.00 to $2.13. Cash prices at the Transco Z6 hub in New York last traded at $1.95/mmBtu, compared with Monday’s range of $1.86 to $2.45. Th e U.S. has a glut of natural gas, and according to free market theory, it should be more effective to start selling more of it overseas than to simply store greater and greater quantities of it domestically. 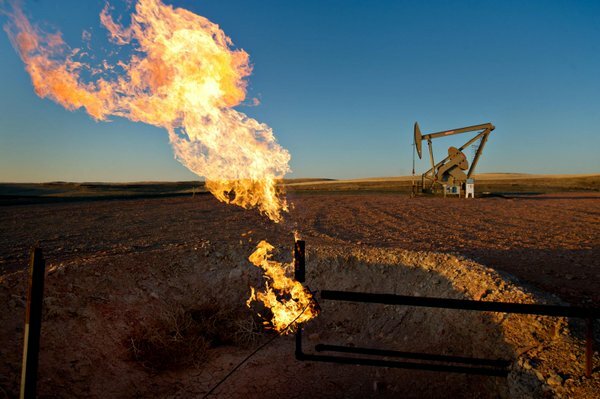 To that end, the U.S. government has approved the export of over 10 billion cubic feet of natural gas, which will start hitting global markets later this year. For natural gas producers and shippers, those additional customers could mean booming revenues. But for energy markets as a whole, those exports could cause some strange side effects. Over half of U.S. households use natural gas to heat their homes in the winter, and the boom in production has resulted in huge savings for them. In 2015, the U.S. Energy Information Administration expects lower natural gas prices to result in 10% energy savings for consumers. But those lower prices may not last. In foreign markets, natural gas carries a much higher price than it does domestically, but if exports grow as predicted, prices here could jump. Early exporter Cheniere Energy (NYSEMKT: LNG), which will start shipping liquid natural gas later this year, is selling millions of BTUs worth of energy per year to countries like France, Portugal, and Japan, where natural gas prices are triple or quadruple what we pay in the U.S. Even at relatively low prices around the world the low cost structure of U.S. natural gas can generate a significant margin for Cheniere. One of the things cheap natural gas has done is take market share from coal in the electricity generation industry. That’s where most of the increasing domestic supply has gone. You can see that the amount of electricity from natural gas has more than doubled over the past decade, while electricity from coal has declined more than 20%. Even the EIA predicts that the shift from domestic oversupply to heavy natural gas exports could be fast and furious. The chart below shows the agency’s projected range of net U.S. exports. It’s possible that by 2020, the country could be exporting 4 trillion cubic feet of natural gas annually — about the same amount we imported less than a decade ago. That could shift the cost structure of energy in the U.S. Low-cost natural gas has caused a huge shift in the U.S. energy profile over the past decade; we’re using much more of it to heat our homes and to generate electricity. So if exporting U.S.-produced natural gas globally leads to higher prices at home, it would hit consumers hard, which could, in turn, make competing resources like renewable energy or even coal more competitive. 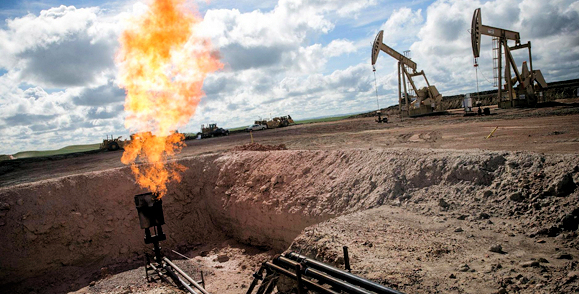 It’s worth watching what happens to natural gas prices over the next few years. Exports may have a bigger impact than you’d expect on your bottom line. With natural gas prices high enough overseas to justify shipping billions of Btus per year there will be a big new demand source for U.S. natural gas. That could spark an increase in U.S. natural gas prices, especially if international LNG prices return to where they were in 2014. It may not seem like a big deal if natural gas prices went from near $2 per MMBtu to $3 per MMBtu, but that’s a 50% increase in energy cost that could hit most Americans’ checkbook. It’s a simple fact that electric cars get cleaner when the electricity grids used to power them do. And, indeed, those grids are growing less dirty each year in the United States. The amount of U.S. electricity generated from coal has dropped significantly over the past few years–and that fuel has largely been replaced by lower-emission natural gas. That, along with a drop in electricity demand during the years of the “Great Recession,” is having a positive impact on U.S. grid carbon emissions, according to a new Breakthrough Institute report. Natural gas is proving attractive to utilities, and could possibly wean them off coal as renewable sources continue to develop. The study looked at electricity generation in eight regions of the North American Electric Reliability Council between 2007 and 2013. Coal’s share of the electricity-generating load in these areas declined, while other established sources like hydro and nuclear remained mostly stable. Natural gas accounted for 45 percent of the decline in coal during the period analyzed, with declines in electricity demand relating to the sluggish economy accounting for the remainder, the study says. While there were increases in electricity generation from renewable sources during the same period, researchers claim they did not significantly impact the use of coal. Looking at wind generation, they found that areas that saw significant increases also saw declines in nuclear and hydro-electric generation. For now, natural gas will likely be the green method of choice for electricity generation. It’s already much cheaper than coal, and can take advantage of existing infrastructure. About $65 billion was spent on interstate pipeline construction over the past 18 years, and this should be enough to handle increased demand, according to a recent Navigant Research blog post. Natural-gas plants are also more broadly distributed than coal-fired plants, and aren’t reliant on climate or weather conditions like solar or wind farms. This ability to work within the current grid infrastructure while still cutting emissions makes natural gas a “bridge fuel” to low-carbon energy, according to Navigant. Allowing export of U.S. crude oil would help keep prices low and create growth in domestic oil industry !! 2/25/15Reuters — Over the past few weeks a silent (and perhaps sometimes audible) cheer has risen in the most unlikely of places — gas stations around the country, as Americans have gleefully filled their cars at almost half the recent cost. So how could a drop in the price of oil be anything but good?To answer that question fully, and to avoid any unpleasant consequences of cheering too loudly at a gas station located in an oil town, consider how companies in these areas, are laying off employees in a struggle to keep their doors open. It wasn’t too many weeks ago that the U.S. was in an energy renaissance, primarily by innovations in hydraulic fracturing and horizontal drilling, domestic oil production topped the high since 1988 of 8 million barrels a day. Despite the current economic dynamics, however, the choice between either low gas prices or a robust oil production economy in the U.S. is a false one. There is one thing that would help stabilize the energy production economy in both the short-term and provide stability to the boom and bust cycle in the long-term, and that is allowing U.S. companies to export crude oil. The current ban on crude oil exports has its roots in the energy crisis of the 1970s. In 1973, an oil embargo led to fuel shortages and sky rocketing prices for Americans. A direct response to this energy crisis was the Energy Conservation Act of 1975, which banned U.S. oil exports in an effort to establish a reserve of petroleum. While it is a truism that government policy lags innovation in business and advances in the economy, basing current energy economics on the geopolitics of four decades ago is silly. As of late, OPEC has made the decision not to protect the price of oil, but has instead decided to make an attempt at stabilizing their market share of oil, which has dropped from over 40 percent before the 2008 financial crisis to around 30 percent at the end of 2014. As such, it’s up to oil companies to keep the price of oil in manageable ranges by continuing to invest in new oil projects. Otherwise, prices could go back up over $100, while the leader of OPEC has suggested that even a massive spike to around $200 is possible should companies cut back on their investing. Rick Kinder, the CEO of Kinder Morgan has stated that OPEC could lose full control over oil prices if they stay away from regulating oil prices for too long. It was his suggestion that the U.S. oil market is soon to be in control over what happens when it comes to oil prices. If this is the case, then oil prices will rise or fall depending primarily on how many new oil wells will continue to be drilled, which further depends on how much money oil companies in America are willing to spend. If money and profits can still be made at these lower oil prices, then new oil wells should be drilled. However, if the opposite happens and oil companies deem that there isn’t money to be made, then they will likely wait it out until prices rise. It was fully expected that OPEC will keep with their strategy of maintaining the line of $100 per barrel of oil in order to stay over budget. This would have to be done by reducing output. Instead, OPEC has kept production levels at the same point, which has sent oil prices down to the level they are at now. If American oil companies continue to stay away from investing in new oil projects, oil supplies will reduce, leading to higher oil prices. What matters now is what the free market decides to do with oil investments. Prices for oil were hovering in the mid $40’s just a month or so ago. Currently, prices have rebounded to above $60 per barrel. It’s clear that prices are gradually beginning to go up and have reached a point where it is finally safe to invest once again. As Rick Kinder states that the nominal price per barrel is $65 to $75 in order for companies to make profit on their investments, today is the perfect time to invest with Aschere Energy, before OPEC returns and begins to regulate prices again. As prices have begun to stabilize and rise, now is the best time to start the initial stages of an oil project. There’s little to no risk at the moment and choosing to invest in oil and gas with Aschere Energy just as prices are arriving at profitable ranges would provide you with all of the necessary tools to ensure your next oil project is a success. Oil rises as OPEC producers signal optimism over market recovery !! Feb 19th 2015— Oil extended three consecutive weekly gains in London as OPEC ministers signaled their confidence that the market can sustain its rebound. Kuwait’s Oil Minister Ali Al-Omair said at a conference in Kuwait City on Monday that an oil surplus is smaller than previously estimated, while his Qatari counterpart Mohammed bin Saleh Al Sada said there is a “sense of optimism” about Brent crude prices, which traded near $62/bbl on Tuesday.Brent crude is back in a bull market while West Texas Intermediate is close to one on signs that supply may be curbed. 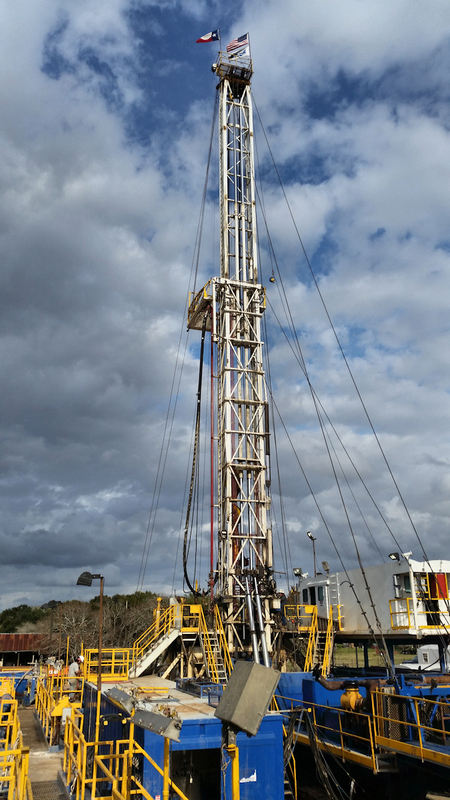 U.S. drillers idled 519 rigs in the past 10 weeks, a 33% reduction, according to data from Baker Hughes Inc. The Organization of Petroleum Exporting Countries lowered its forecast for an oil-supply increase from countries outside the group, and the International Energy Agency said a faster economic expansion will help demand growth accelerate this year. Brent for April settlement climbed as much as 94 cents to $62.34/bbl on the London-based ICE Futures Europe exchange. The contract fell 12 cents to $61.40 on Monday. The volume of all futures traded was about 8% above the 100-day average. WTI for March delivery climbed as much as 91 cents from Friday’s close to $53.69/bbl in electronic trading on the New York Mercantile Exchange. It was trading at $53.23 at 11:55 a.m. in London. The floor session was suspended on Monday for the U.S. Presidents’ Day holiday and transactions will be booked Tuesday for settlement purposes. OPEC, which supplies about 40% of the world’s oil, on Feb. 9 made the deepest cut in at least six years in its monthly projection for output growth from other producers, predicting the market’s drop means U.S. drillers will pump less than previously anticipated. “Brent is near $62 and there’s a sense of optimism surrounding this issue,” Qatar’s Al Sada said at an annual meeting of Mesaieed Petrochemical Holding Co. in Doha. Escalating violence in Libya, which holds Africa’s largest oil reserves, has added to supply fears. Egyptian President Abdel-Fattah El-Sisi, whose air force bombed Islamic State targets in Libya on Monday, said his country will ask the United Nations Security Council to authorize intervention in the North African nation. Oil production, the main source of revenue in Libya, plunged to 350,000 bpd in January from 1.6 MMbopd before the 2011 rebellion that toppled Qaddafi.